AirSign is an aerial advertising firm redefining how companies expand awareness and grow leads. We help organizations magnify the impact of their promotional campaigns by blending captivating aerial imaging with video, social media and data-driven tracking applications. Call 888-645-3442 to talk with an AirSign Brand Ambassador. 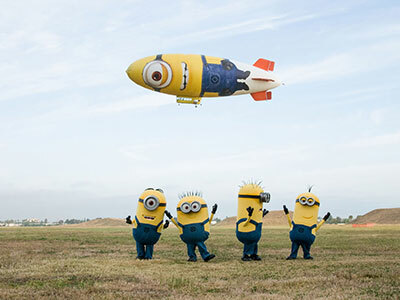 Take your brand campaign to the sky. AERIAL BANNERSCut through the clutter with giant, brightly colored logos and message banners in the sky towed by airplanes or helicopters. 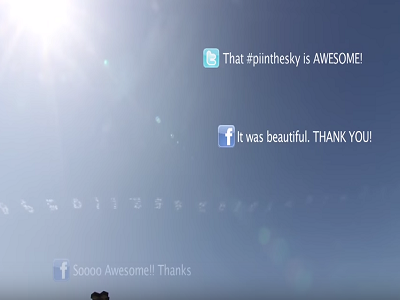 SKYWRITING Instantly dominate any market with traditional or AirSign Digital Skywriting™. Create unforgettable memories as your message is written across the sky. AIRSHIPS / BLIMPSAirSign blimps are soaring air ships that draw all eyes to the sky to focus on your message alone, with no distractions. BOOST PROGRAMSAirSign Boost™ programs bring together digital and traditional advertising into one cohesive approach that magnifies awareness and generates leads. "If I'm not mistaken, it was a factor of 600% improvement over past promotions..."
Rethink the way you reach your target audience. AirSign is redefining how companies expand awareness and grow leads. We help organizations magnify the impact of their promotional campaigns by blending captivating aerial imaging with social media and data-driven tracking applications. With vivid advertising blimps, airplane banners and sky images, AirSign helps your brand take off to new heights. The AirSign leadership team is comprised of creative entrepreneurs with a passion for flying. They work tirelessly to bring new ideas that help our team scale and support our customers' visions of success. Our Brand Ambassadors work side-by-side with you to craft captivating aerial promotions that enhance traditional campaigns. AirSign Ambassadors focus on the details to ensure your brand takes off. The 'air force' that backs up your brand campaign. We have pilots throughout the US, Canada, the Caribbean and Europe that love to fly while capturing your audience’s attention and amazement. Some of the awesome projects we have had the pleasure of working on. "I can't remember the last time someone stopped to take a picture of a billboard." 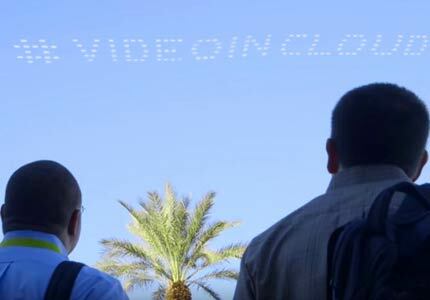 "Digital sky writing is fast becoming the most innovative way to captivate crowds . . ."
"If I'm not mistaken, it was a factor of 600% improvement over past promotions . 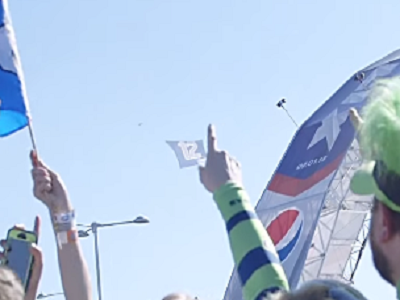 . ."
"Without the helicopter banners, the promotion wouldn't have been so shareable." Drive awareness, magnify reach and grow leads for your organization with the help of AirSign's Brand Ambassadors. We know how to design and execute exciting campaigns then track and measure effectiveness. Looking for something unique to commemorate a special occasion? AirSign can help you create that one-of-a-kind, special experience that will amaze your audience. 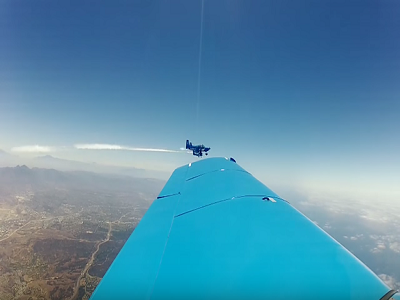 Go big and bold with aerial messages by AirSign.